Sympathetic control of the heart is mediated by hypothalamic nuclei that abut the walls of the third ventricle. Specifically, dysfunction of PVN and DMN has been linked to catecholamine-induced myocardial necrosis. Hydrocephalus may disrupt these centers, although intracranial hypertension may not be necessary for this to occur. Gharaibeh, Kamel, Jackie Scott, and Nicholas A. Morris. “Neurogenic Stress Cardiomyopathy Precipitated By Acute Hydrocephalus After Aneurysmal Subarachnoid Hemorrhage.” Neurocritical Care (2017): n. pag. Web. 14 Aug. 2017. “Hypothalamus.” En.wikipedia.org. N.p., 2017. Web. 14 Aug. 2017. What is the relationship between acute CNS events and cardiovascular abnormalities? CNS events can induce cardiac abnormalities in EKG morphology and rhythm. Most commonly, these abnormalities involve the T wave (diffuse, deep inversions). Minor ST segment elevation have also been reported in leads with abnormal T waves. T wave asymmetric, characteristic outward bulge in the ascending portion. ST elevation usually less noticeable, and <3mm in most instances. T inversions are more pronounce din midprecordial and lateral precordial leads. May be found to a lesser extent in limb leads. Other EKG features in acute CNS injury include prominent U waves and QT prolongation. 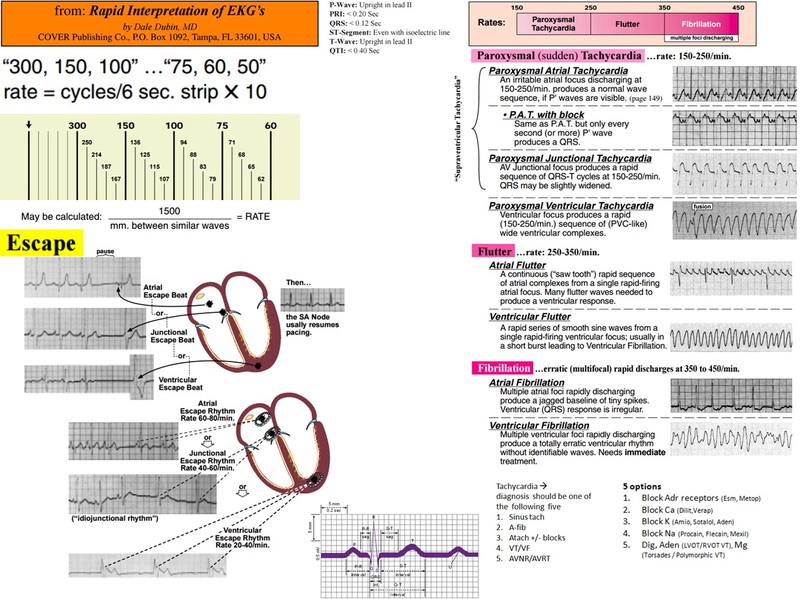 Explanation for EKG findings – may involve CNS-mediated increases in sympathetic adn vagal tone, as well as actual myocardial damaage termed contraction band necrosi. 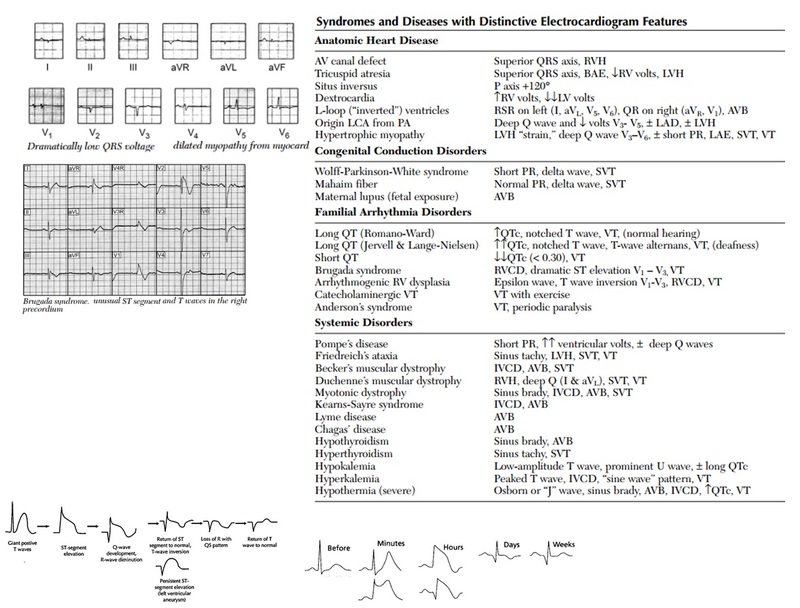 EKG changes with these disease processes can include ST segment depression, T wave inversion, PR shortening, QT prolongation, accentuation of U wave, bradyarrhythmia, and tachyarrhythmia (both ventricular and supraventricular). Derangement of autonomic nervous system activity may be responsible for these. Damage to hypothalamus may be the primary cause of autonomic dysfunction. Perron, Andrew D., and William J. Brady. 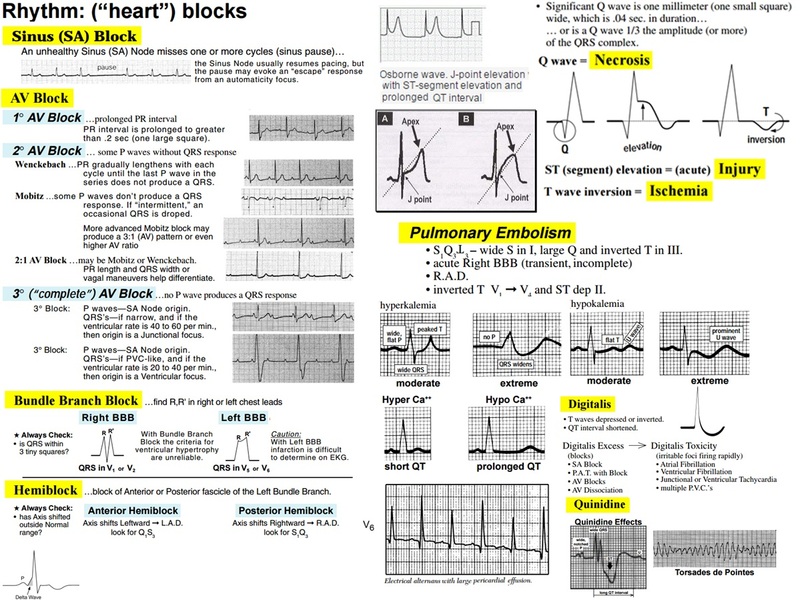 “Electrocardiographic Manifestations Of CNS Events”. The American Journal of Emergency Medicine 18.6 (2000): 715-720. Web. IV push, I.O. : Initial: 300 mg rapid bolus; if pulseless VT or VF continues after subsequent defibrillation attempt or recurs, administer supplemental dose of 150 mg.
ROSC –> 1 mg/minute x 6 hours, then 0.5 mg/minute for 18 hours . then oral maintenance 100 to 200 mg once daily. Uptodate: Amiodarone: Drug information. Accessed 1/13/2016.